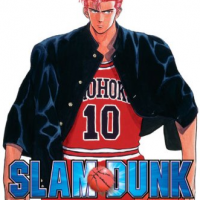 'Slam Dunk': Japan's greatest sports manga? 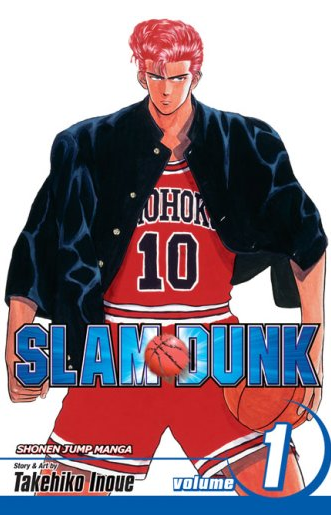 Takehiko Inoue’s “Slam Dunk” is one of Japan’s most popular manga, spawning four films and numerous video games. To date, more than 157 million copies of this 31-volume series have sold worldwide. Written when Inoue was a rookie, and first serialized in Shonen Jump from 1990 to ’96, the manga won a Shogakukan Manga Award in 1994 and even earned Inoue a special commendation from the Japan Basketball Association for helping to popularize the sport. Slam Dunk, Vol. 1, by Takehiko Inoue. Inoue played basketball in high school, and his love of the game is evident on every page. But “Slam Dunk” is not your typical sports story dominated by on-the-court heroics. The main character, red-haired Hanamichi Sakuragi, joins the team merely to impress a girl, and his goofy antics brings comic relief and a sense of realism to the story. As a basketball player, Sakuragi lacks skills and discipline, balking at the relentless drills. But encouraged by Haruko, the team captain’s little sister (and his love interest), Sakuragi gradually discovers a true passion for the sport, and his determination motivates the rag-tag team to greater heights. Inspired by the story, Inoue and Shueisha Publishing have established a fund to send young Japanese basketball players to the U.S. to pursue their NBA dreams. And Inoue is still sharing his knowledge about the sport: He currently pens another serialized basketball manga, “Real,” about the ups and downs of basketball players who use wheelchairs.